An IRGC source says dozens of ISIS terrorists, including several commanders, have been killed by the missile attacks launched by the Islamic Revolution Guards Corps from western Iran. In a Tuesday interview with Press TV, an anonymous IRGC commander said the Sunday night’s missile attacks have claimed the lives of many ISIS terrorists. 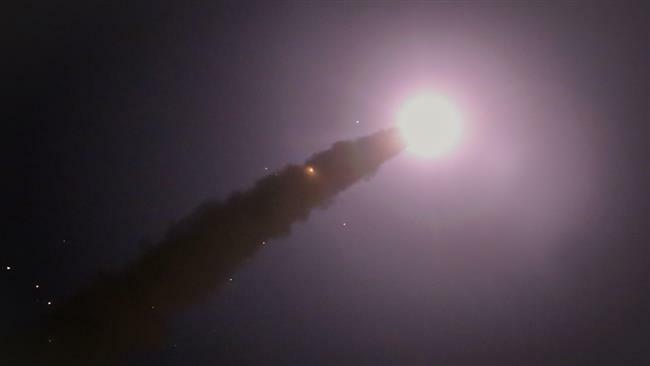 Earlier, Al Mayadeen TV had quoted an Iranian official as saying at least 50 ISIS terrorists, including several high-ranking commanders, were killed when one of Iran’s missiles hit their headquarters in Syria’s Dayr al-Zawr. According to the source, six Libyan ISIS commanders were killed in the attack; two of whom have been identified as Abu Asim al-Libyai and Abdel Kader al-Frani, better known as Abu Harith. The IRGC fired six medium-range ground-to-ground ballistic missiles into ISIS bases in Syria’s Deir ez-Zor on Sunday in retaliation for twin terrorist attacks in the Iranian capital Tehran, which killed 17 people and injured over 50 others.